After a long chase Nigel Clough has pulled off a double signing from Crewe Alexandra of John Brayford and James Bailey. The pair have been purchased for a fee of around £1m. There is a sell on clause written into the deal, which would see Crewe receive a further 15% of any fee received by the Rams. The pair were given permission to talk to both players on Friday and spent the weekend in talks with Derby and having a medical. Bailey another six footer, plays in midfield and at 21 is another seen by Clough as a potential asset for the Rams. 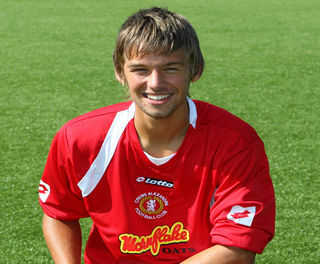 He has played 46 times for Crewe since joining them in 2007.